First up is Noel, a blue metallic shimmer. 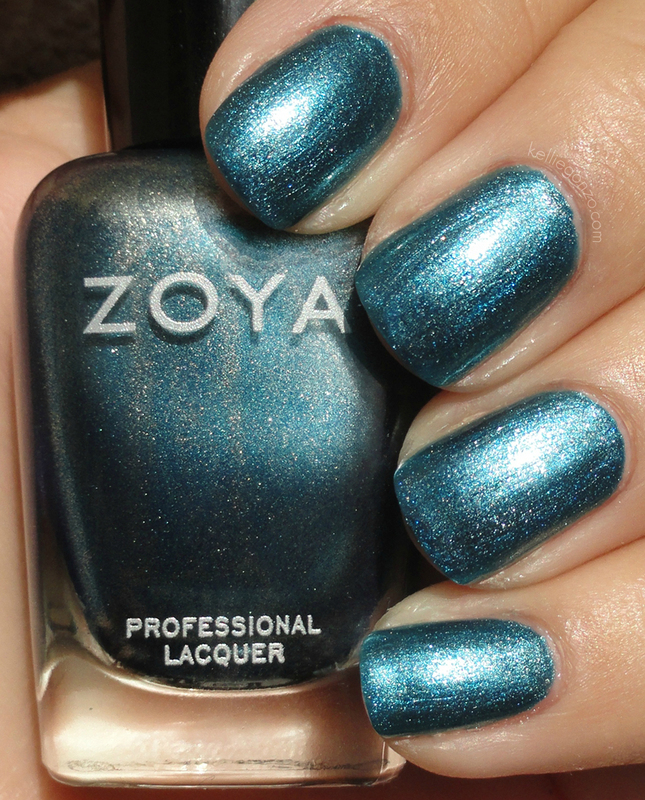 Zoya describes it as "A faded denim blue with subtle hints of gold and silver in a dense foil finish." I am really liking metallics this winter, so fun and yet so simple! This is two coats. Next I layered Twila over Noel. 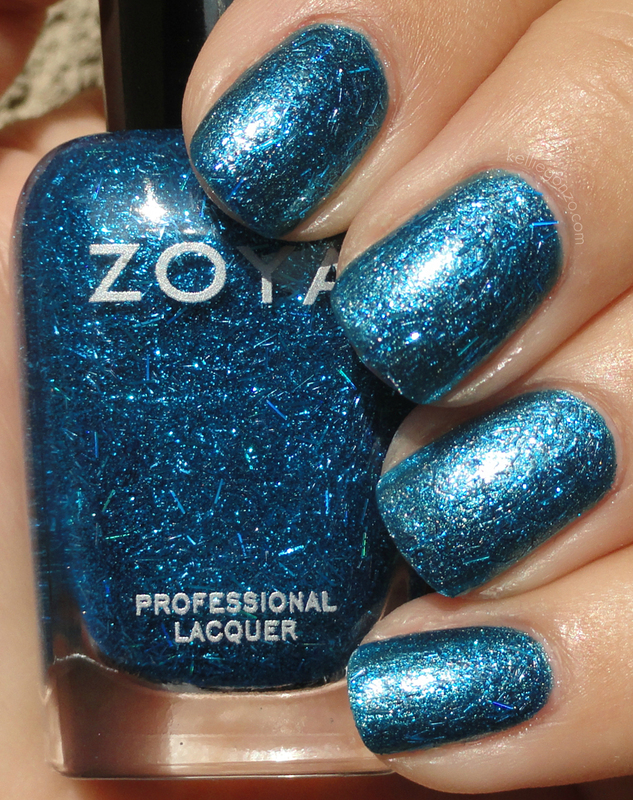 Twila is a "unique bar glitter in a bright blue shade with hologram glitter accents." I can't tell you how awesome these bar glitters are in person, they sparkle and shine like you seriously can't believe. This is two coats of Twila over two coats of Noel. 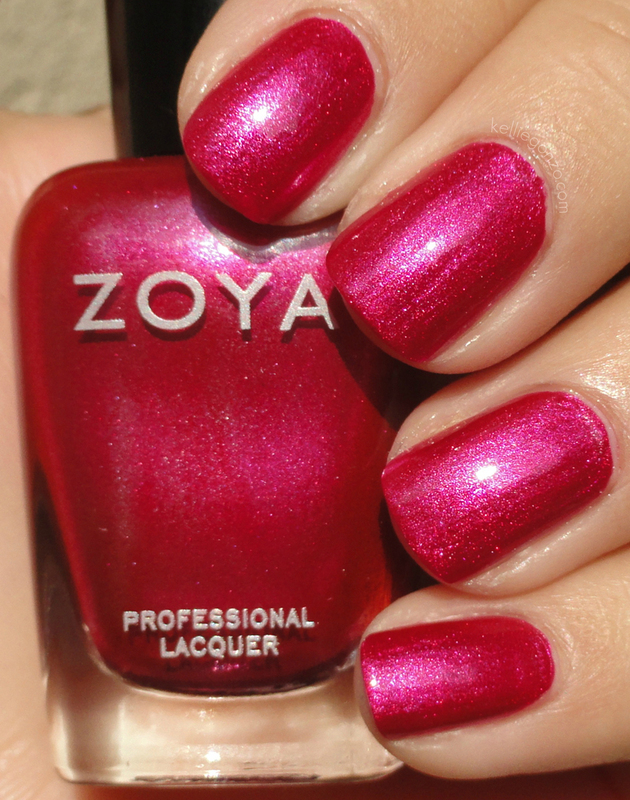 Here is Izzy, a "bright, bold deep pink with hints of silver in a glowing foil-like finish". And boy does this baby GLOW! You won't be able to handle all the shine! Two coats. Here is Kissy (worst name ever) over Izzy, a "glitter that combines red, pink, purple and hologram particles with unique bar glitter." The hologram particles really pop in this one, I really love it. Two coats of Kissy over two coats of Izzy. 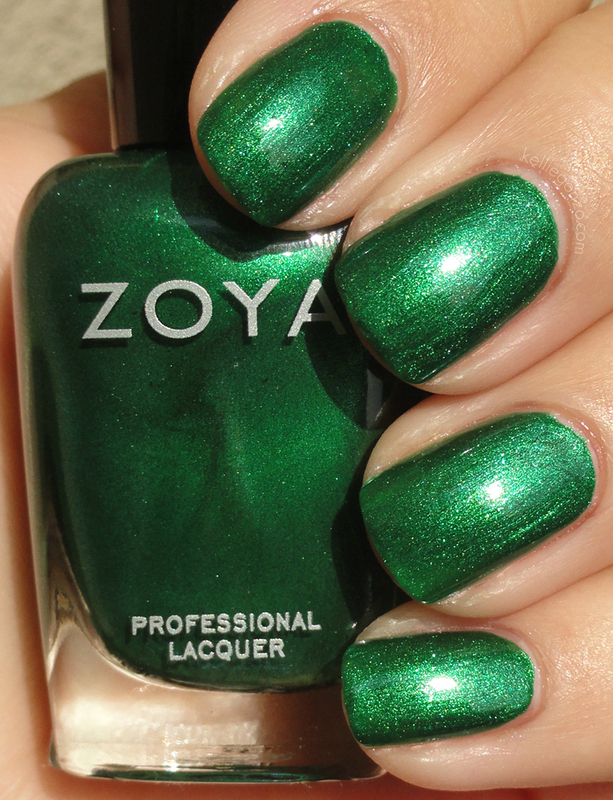 And last of the shimmers is Holly, a "rich holly green with subtle yellow tones in a luminous metallic finish." 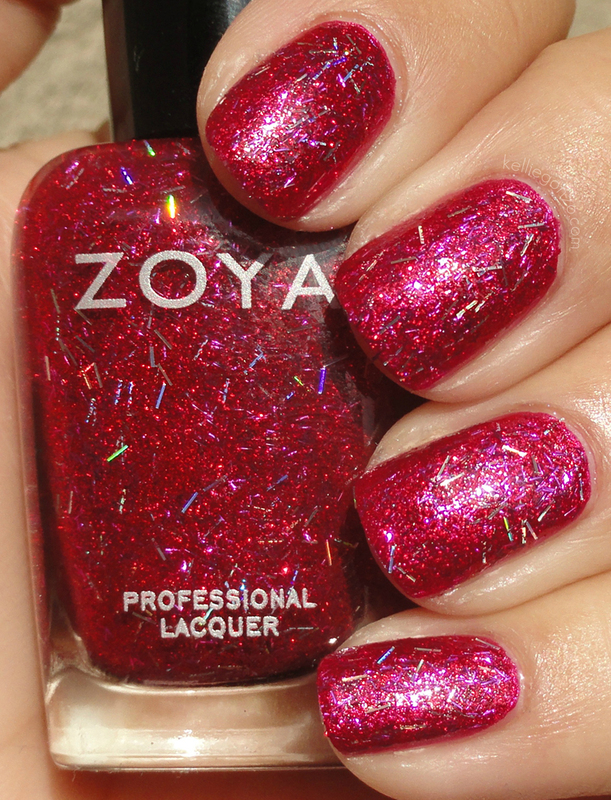 This one is super gorj and perfect for celebrating the season! Two coats here. 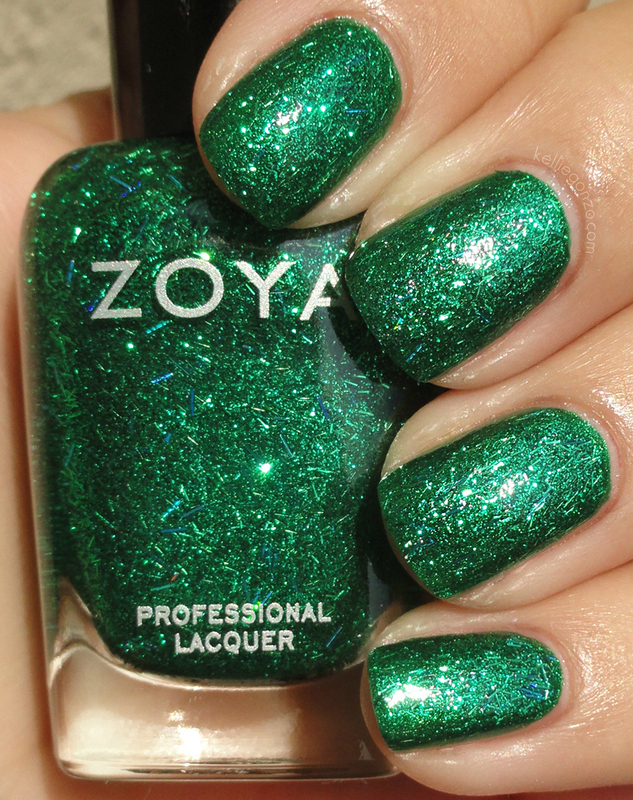 Last of the glitters is Rina, a "unique bar glitter in a bright shamrock green with hologram glitter accents." This is probably my absolute favorite combination of the collection, WHAM! POW! in yo face glitter explosion! Two coats of Rina over two coats of Holly.